Can astanga yoga make your biceps bigger? In short – yes of course! But I know and have heard of quite a few women not doing Astanga because they are worried about how big it will make their arms and shoulders – men don’t seem to have a problem with this! I thought I’d do a little personal study and practice Astanga daily after a period of ‘rest’ and see how big my biceps actually get after one month. I begin on the 13th of January. It feels rather self indulgent measuring body parts… With a long unflexed arm my bicep measures 24cm – when flexed it is 25cm. After one practice my unflexed bicep measures 24.5 cm and when flexed 25.5cm. 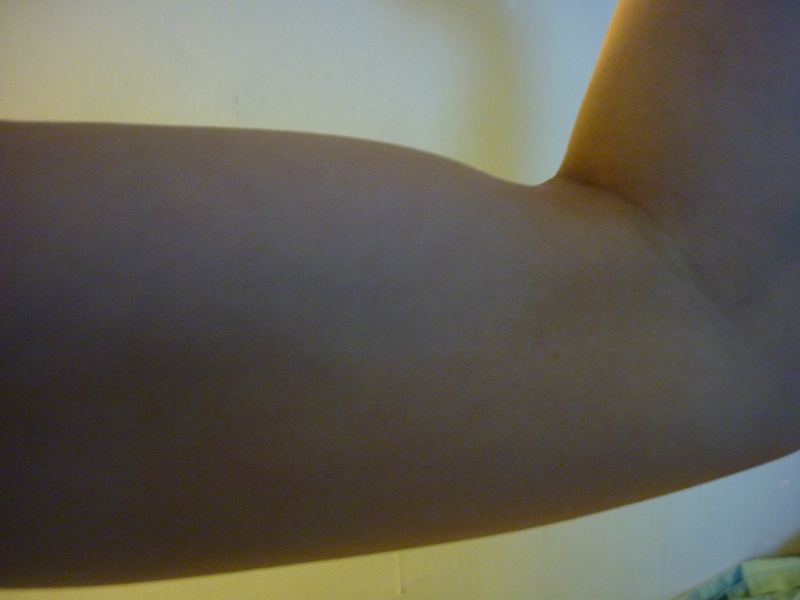 By the 15th January my unflexed bicep stays at 24.5cm but flexed it is now 26.5cm. These measurement are taken straight after practicing. On the 17th and 18th January the measurements are the same as the 15th – but I also take a reading about 10 hours after practicing – both days show a decline in muscle growth – back to the original size of 24cm unflexed and 25cm when flexed. On the 13th of February at the end of the one month of Astanga my unflexed bicep is 24.5cm and flexed up to 26.5cm. So in a month a total bicep growth of 0.5cm when unflexed and 1.5cm when flexed. I haven’t been able to measure the growth of the muscles in my shoulders – they definitely look stronger – especially the Deltoid muscles (top outer corner of shoulders) and the Pectoralis Major muscles. Although I only really notice this new definition if I happen to be brushing my teeth and happen to look in the mirror. 14th of February – no Astanga today as I think it would be good to see if there is a decline in muscle tone after missing one practice. Bicep – 24cm when unflexed – back to original size! and 25.5cm when flexed – just 0.5 cm more than when I started – Gosh what a quick decline…. If you enjoy pushing yourself physically than Astanga can be fantastic – it can feel so good to do and after a practice you feel like you have really moved. A shame to miss out on because of possible bicep growth! 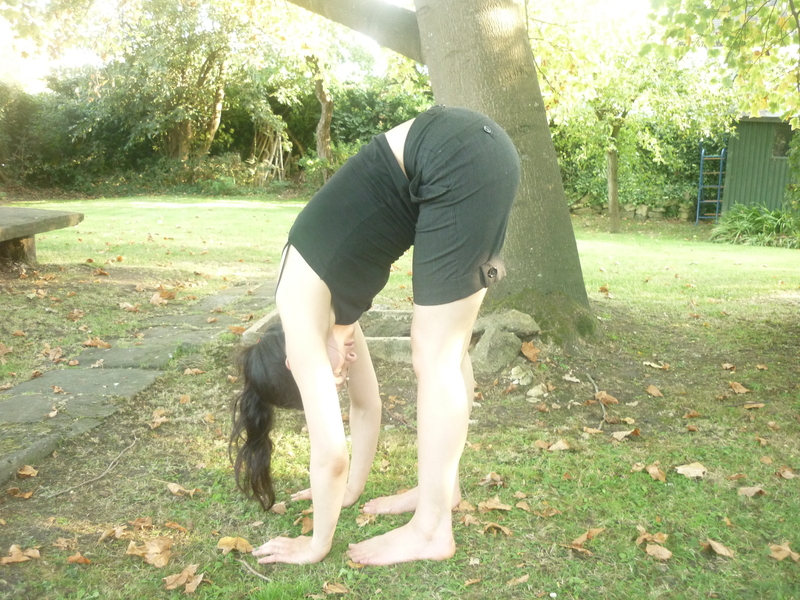 So yes, Astanga does make your arms and shoulder’s look stronger – but not too much! 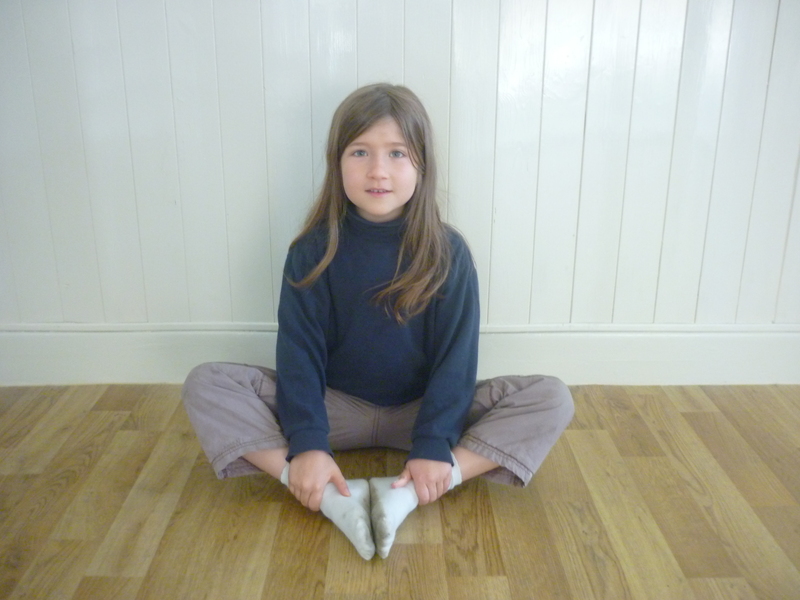 They then seem to go back very quickly to the size they were if you don’t practice for a few days – In my case anyway! Everybody’s body is different and unique… and so what if your arms get bigger because you have strengthened them!